So you say want to improve your health, wealth, love and success, but you just don’t know where to start. …with a little assistance, you can learn the necessary habits to live the Good Life too. Tai Lopez in his 67 steps program defines the Good Life as making a positive impact in your, Health, Wealth, Love and Personal Life. 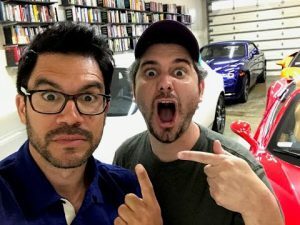 Tai Lopez is an entrepreneur, coach, investor and now social media influencer. Tai Lopez exploded on the scene following his recent Ted Talk where he shares how he reads a book a day. That Ted Talk alone has had over one million views. Why read a book a day? Check out the Ted Talk later today and see why consuming a large amount of informative information is a habit worth forming. Inside the 67 step program, Tai Lopez shares his “Must Read Books” and gives you a summary of books he’s just completed. Need help to identify a business to start? Tai Lopez offers help with that too! Tai has an additional program which walks you through the steps necessary to start your very own social media marketing agency (SMMA) and claims you can earn up to $10,000 a month per client. If it’s anything like the 67 step program… then I know it will be great! 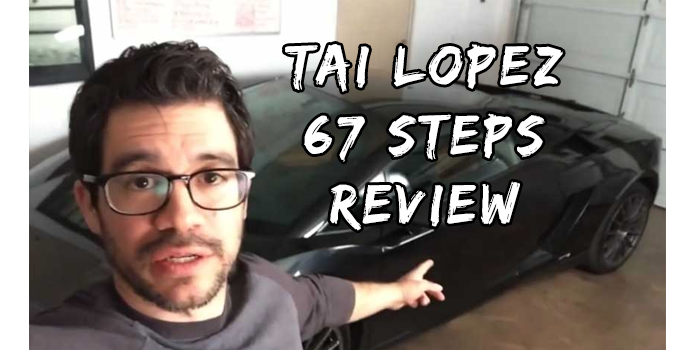 What is the Tai Lopez 67 steps about? In this 67 step/67 day program, Tai Lopez takes you through a daily step by step personal development program that helps you bring more awareness to the habits necessary to improve your life. Mr Lopez does a great job of painting pictures with his words that leave you with simple, yet memorable concepts that could truly change your life forever. Each day you are encouraged to return to the program in order to build on the previous days’ lesson. Is Tai Lopez 67 steps a scam? The 67 steps program was more beneficial than I could have ever imagined. TheTai Lopez 67 steps cost very little compared to the amount value in which you receive. Not only was the program reasonably priced, he made it convenient to watch and very easy to understand. The program is full of great information and is definitely something you will want to revert back to and listen again and again. Some of my favorite steps are still downloaded to my phone today so I can continue to hear them whenever I want a refresher. If you seek basic strategies that you can quickly adapt to your daily life, to improve your life. Then I highly recommend the Tai Lopez 67 steps program. We hope you enjoyed this Tai Lopez 67 steps review. Please leave your questions or comments below.